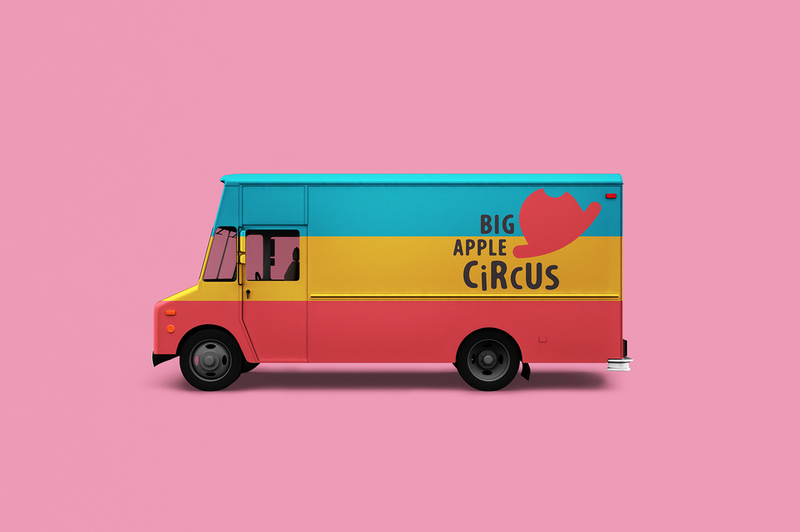 Established in 1977, The Big Apple Circus is an iconic circus based in New York City and retains the charm of old-fashion circuses. Their current logo is fussy and outdated. 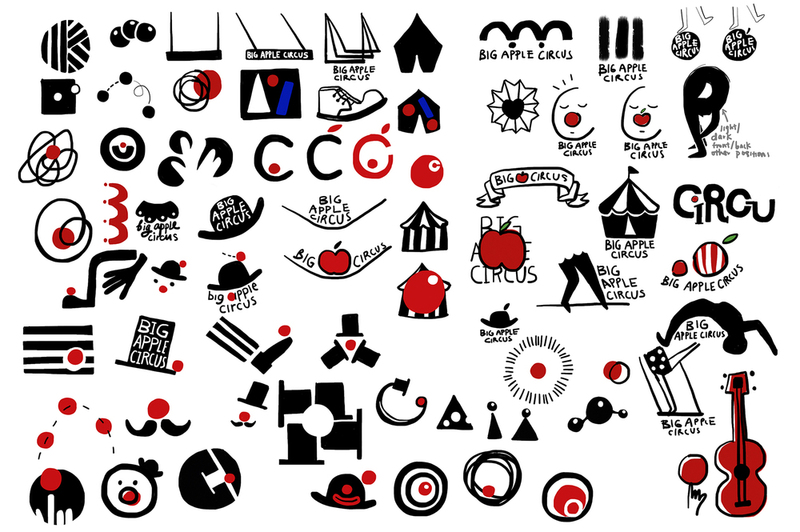 My goal is to distill the essence of the circus, streamlining it to give a fresh modern look. The new logo is a combination of a clown hat with an apple bite at the top. 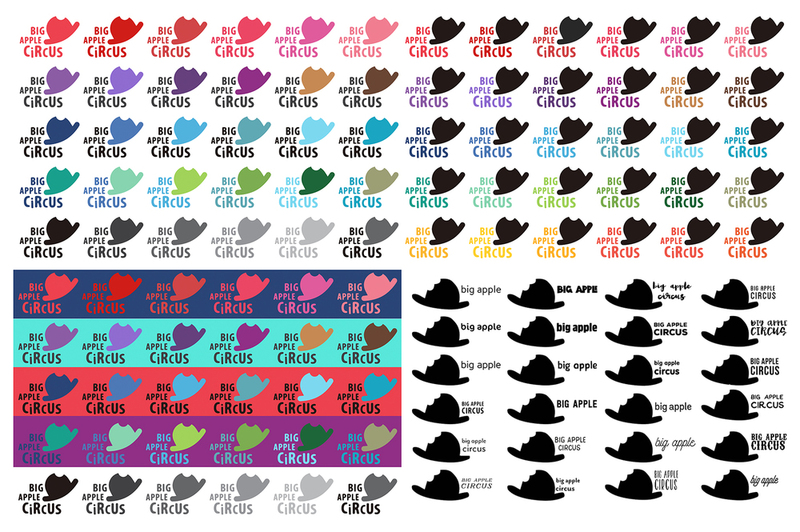 The stripes implemented in the branding alludes to familiar circus stripes but with a bold modern twist.